Richie Sambora proves just because you’re no longer with former partner, doesn’t mean you stop being attracted to them. According to People, Sambora raved about his ex-wife Heather Locklear, while he attended friend, Ray Parker Jr’s, ceremony for his star on the Walk of Fame on Thursday in Hollywood. The rocker reportedly couldn’t stop complimenting her, and even said, “…she looks better than ever.” The ex-couple divorced back in 2007, but Locklear, 52 and Sambora are still close friends. Even though it took years for them to get to a good place, the Bon Jovi guitarist said focusing their efforts on their 16-year-old daughter Ava, helped them to let go and move on to where they are now. What are some ways to remain civil with your ex? What are some disadvantages to dating someone that has kids? 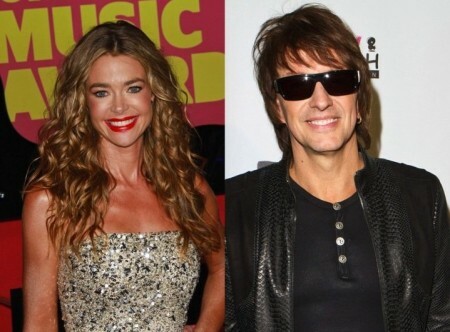 Being reunited must feel good for on-again couple Denise Richards and Richie Sambora. The two were seen together Sunday night at a Japanese restaurant in California, according to E! Online. After a year long relationship in 2007, the couple have decided to try their hand at love together again. In Richard’s memoir, she discussed her relationship with Sambora saying, “Richie and I shared an easiness I hadn’t before had.” She also revealed that since their split, the couple has met up a few times. It’s clear that they both still care for each other, and hopefully this time around proves to be more successful. What do you do when you haven’t gotten over your ex? 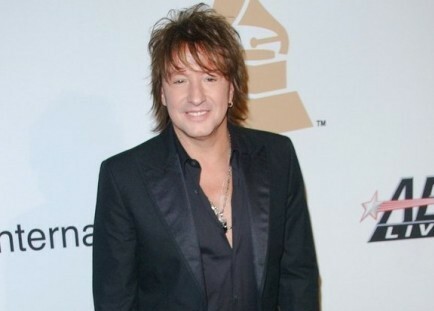 Bon Jovi guitarist Richie Sambora is currently on the prowl for his “future ex-wife,” according to People. “I’m just looking for the right person to have more children [with.] I just love being a dad,” said Sambora. The musician split from actress Heather Locklear in 2006 after 11 years of marriage. They have a 13-year-old daughter together named Ava, and now this rock star is ready to once again settle down. Should you get married just because you want children? Is Denise Richards Dating Rocker Nikki Sixx? Talk about picking the same kind of men. People reports that Denise Richards admitted she had “gone on a couple dates” with rocker and radio host Nikki Sixx, 52. Richards, 39, has had her share of experience with bad boys, including a complicated marriage to Charlie Sheen and a relationship with Bon Jovi guitarist Richie Sambora. With her new bad boy, who recently broke up with Kat Von D, Richards admits, “The God’s honest truth is we’re taking it very slowly.”Why are women attracted to bad boys?